In the words of Mark Twain, “I didn’t have time to write a short letter, so I wrote a long one instead” – what does he mean? Strong writing is often lean writing, in fact some of the most impactful text is shorter – and gets straight to the point. Similarly to how they speak, many individuals tend to include words that actually aren’t necessary. For example, did I need to use the word actually, did it make any difference to the impact of the sentence? No. 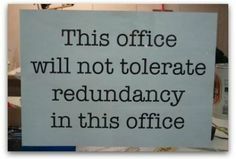 However these words – known as redundancies – are commonly used in writing, but don’t always add anything to the point being made. Many people need to remember, making writing longer, doesn’t mean it’s better. Other words often creep into text too, and rather than making it sound confident and precise, result in it coming across as vague. Just is another grammatical offender. Many people use just as a filler in everyday vocabulary, for instance ‘I just thought I’d drop you an email’, or ‘just writing to ask’. It can also make the writer sound desperate, or demanding when applied to an action aimed at the other person. In most cases, removing the word just will make the writing stronger. Similarly to just, really is another word used as verbal emphasis that doesn’t always transfer well into text. Perhaps and Maybe are other writing bugbears. They make text sound uncertain, and can often obscure the meaning. The problem with these is that they it make the writer’s intentions unclear – ‘we could perhaps meet for lunch at two’, or ‘you could maybe send through the document.’ It doesn’t provide a call to action, rather just an indefinite comment. The power of writing allows the author to choose impactful words to illustrate the message they want to convey. But sometimes individuals can be lazy and chose verbs that aren’t descriptive. Vague words such as got, which can be applied to a multitude of expressions, don’t provide any detail, and the point of the message can be lost. For example, ‘I got up this morning’, could be ‘I woke up this morning, or ‘I jumped out of bed’. This doesn’t mean flowery and latinate words in writing aren’t always impactful when used in the correct way. For instance, if you’re trying to conjure up an image of style, class, or sophistication in the reader’s mind, beautiful and elegant words that flow together can be extremely impactful. If you’re keen to stir up the reader’s emotions, words that are often described as flowery can have a far greater impact than the words we use in our everyday vocabulary. So, why choose a word over another? Well, that’s up to you. But do remember in an Orwellian way, all words have impact, some just have more impact than others. So, your challenge, if you choose to accept, is to make your writing more interesting and ensure you illustrate to the reader the point you want to get across in a concise way. As Shakespeare said: ‘Brevity is the soul of wit’. Enjoy.